We've been here before, haven't we? 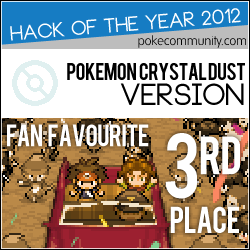 Once again, you're put back into the shoes of either Gold or Kris, and sent on your way across the Johto region. With the most accurate scripts, text, features, and everything else compared to other remakes, you can nostalgically relive your past GBC memories and experiences in full-on GBA style on your way to becoming a Pokémon master. Day/Night system; remade entirely from scratch and now supports light-up windows! Scripts are made to the best of my ability; no more exclamation mark without the sound! Holy crap, we won something? When flying to the Lake of Rage after defeating the Red Gyarados but before talking to Lance, the animation messes up a bit, making you appear under Lance for a split second. Jilly Shears - Even more music! CrystalDust has a lot of music. If I forgot anything/anyone, please post and I will definitely fix it. But then again, if I missed someone, they're probably in the in-game credits anyways. All patches, old and new, can be downloaded at DoMoreAweso.me. Last edited by Diegoisawesome; 3rd March 2018 at 02:30 AM. Really great job on this, diego. I'm impressed with your focus on remaining true to G/S/C, and also with how much you have complete (up to Kanto and all). Wow, Diego. This is very well done and has a nice lack of glitches! 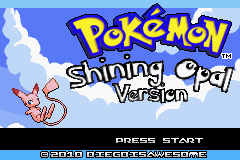 And by the way, the title screen looks pretty boss. 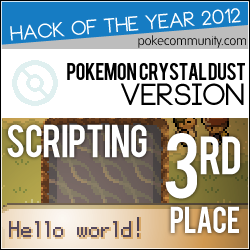 Played this game before, I think this should be considered a cool Crystal remake (only GBA hack here right next to Liquid Crystal LOL) and the PokéGear feature is TOTALLY hype! 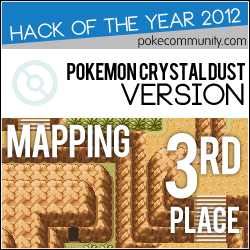 This hack is almost good as another hack I know, Shining Opal. Thank you! I've worked hard on this and love it when people enjoy the result. Thanks so much for your work on this! Just downloaded this a few minutes ago. I'm in Violet City right now, and I have to say that I'm impressed by how far you've gone to stay faithful to the original games. The effort really shows. Also, its nice to see those old New Bark Town houses I made getting some use. A lot of the stuff I made for Acanthite is unused now that they've upgraded to more Gen IV-looking stuff. (Well, some of it pops up here and there because it got included in that mega tile sheet). But nice to see them in a hack that gets a lot of attention. Anyway, keep up the good work. Looking forward to continuing my journey tomorrow. Sorry, but it probably won't be for quite some time. Oh, I'm using some of your resources? I didn't know who the creator was. I'll add you in to the credits for the next release. Now that that's out of the way, it's time for what you've all been waiting patiently for. This has been a long time in the making, mainly because of the bag. The intro actually took shorter to make than the bag. Can you believe it? A whole slew of bugfixes! A COMPLETELY NEW INTRO, made by shiny quagsire! The bag interface completely ported over from FireRed! 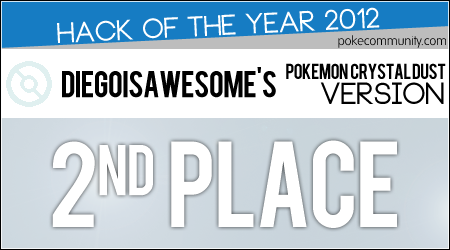 A new Youngster encounter theme from tonti! A new sprite for the Medium! And more? I think so, maybe. Download it, as per usual, from the link in the first post! Cool, thanks for adding me. I misread the credits at first- I guess "Project Platinum" and the "And Magnius" line above it somehow ran together and I read "Project Acanthite" so I assumed I was already somewhat credited. It was late when I downloaded it. lol. Anyway, gonna check out this new intro and bag update you posted. Sounds nice. Also, I found a possible bug in Violet City. Is there supposed to be a random survey that comes up when you talk to a headbutt tree near that building?